This post is a follow-up post to this. Characters-wise, Mr Sunshine is pretty similar to My Ahjussi. You know, the age-gap. This drama is set to release in July 2018 and will be broadcasted by my favorite channel: tvN. During the United States expedition to Joseon (South Korea) in 1871, a boy from Joseon boards an American warship and goes to America. As an adult (Lee Byung Hun), he returns to his home country as an American soldier stationed in the country. I’m pretty nervous about the chemistry between Lee Byung Hun and Kim Tae Ri. 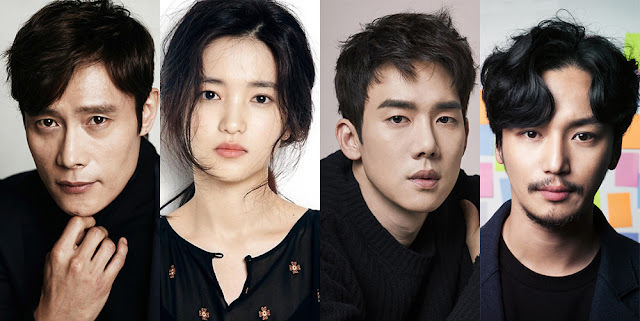 I may have no problem about the age difference between Lee Sun Kyun and IU, but Lee Byung Hun-Kim Tae Ri pair is a bit worrying. The PD-Writer pair, for sure. And Lee Kwang Soo. As much as I love how silly Lee Kwang Soo is, I would like to see him playing a “serious” character. I’m really hoping that Lee Kwang Soo will step up his game in this drama. I have no worry about “Live.” I believe it will be beautiful and warm show.